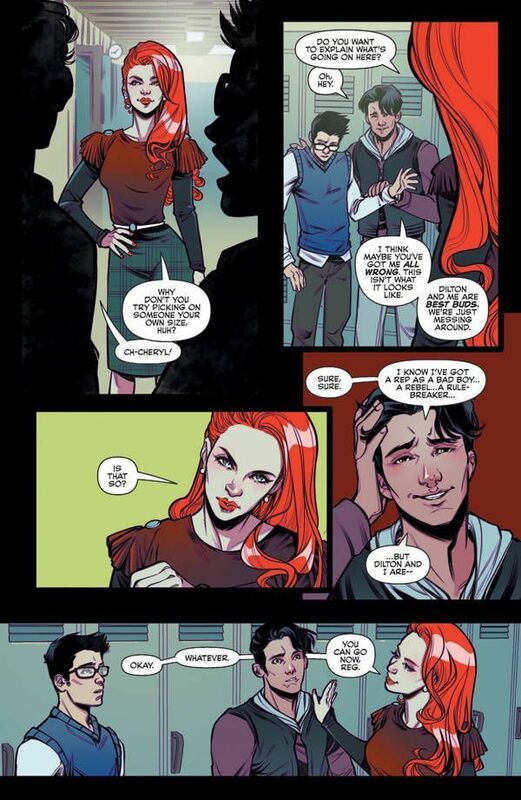 I'm sure that over the years, Cheryl and Jason Blossom have been called all sorts of names, but have they ever been called the Antichrist? That's the premise of Blossoms 666 and it's just getting started. See, one of them is destined to be the Antichrist, but it's not clear which one. They both want the title and they're willing to do anything to get it. 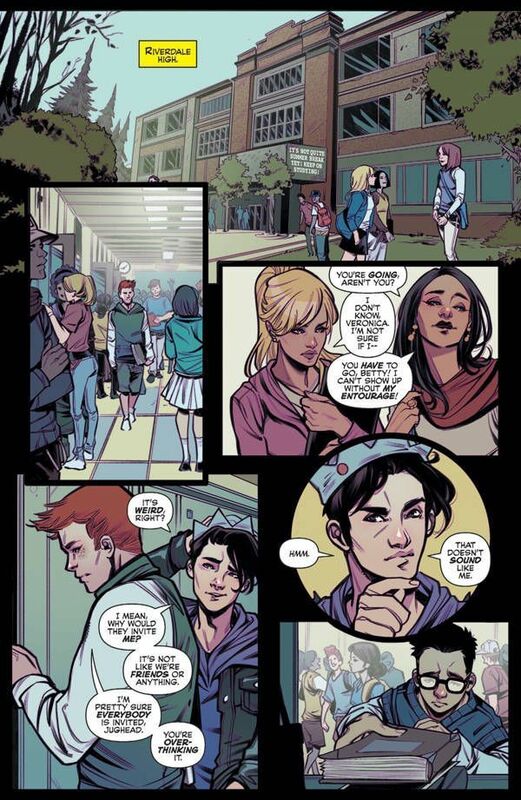 You know that scene from The Omen where the lady kills herself while screaming that she's doing it “all for you, Damien?” Well, that's definitely the vibe in Blossoms 666 #1 as the twins walk through Riverdale High. The crowds part like the Red Sea for Moses and they prove to be very influential not only to their peers but to the faculty as well. They can quickly change the course of a conversation with a simple glance. 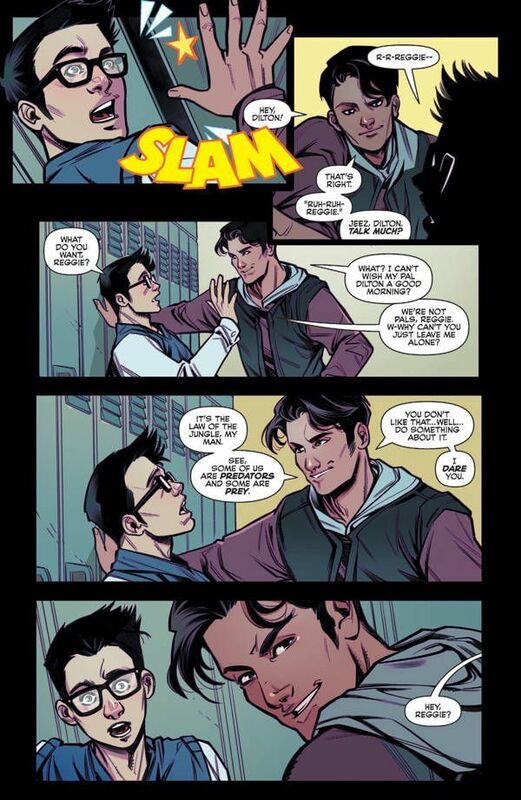 It's not clear if the rest of Riverdale is in on this whole Antichrist destiny, but it certainly seems that way. At the very least, people are wary of Jason and Cheryl. They're like these perfect, red-headed angels that are gracing us with their presence. Much of this comes through in Laura Braga's incredible artwork. Everyone in this book is beautiful, but the Blossom twins are on a higher level. The entire tone of a scene changes when they show up. There's an unmistakable charm to Jason and Cheryl. People want to be them or be with them. This makes their upcoming party the event of the year. Things start out innocent enough as there's some beer and a pool party; it’s your typical high school get together. There's this underlying current of foreboding throughout the whole affair. The Blossoms are in complete control of the situation, turning the tension up like they're adjusting the volume knob on a radio. They do it while having these conniving smirks on their faces, reveling in the discomfort their actions cause. This is what makes them such great villains and perfect candidates for the Antichrist. Early on, when the two are planning that evening's festivities, their conversation is presented in color-coded caption boxes. Each one is initialed with the first letter of their first name to tell them apart. This is a great touch from letterer Jack Morelli. 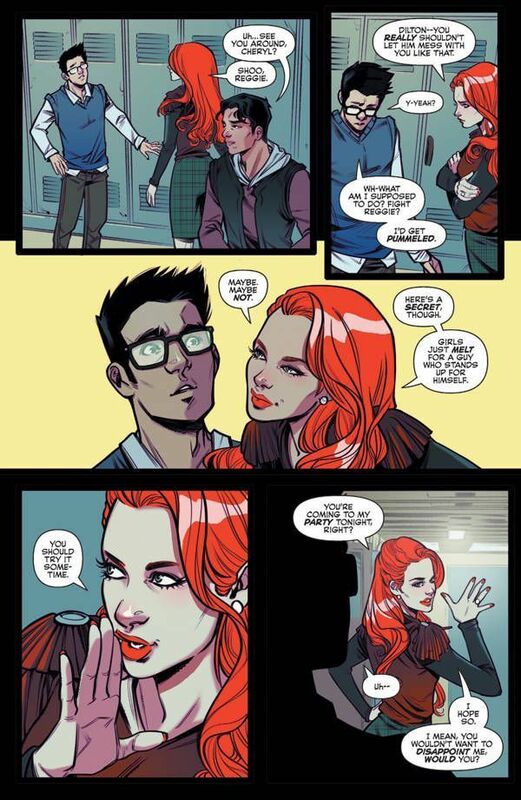 One element that really stands out with Jason and Cheryl is their hair. Colorist Matt Herms makes this pop on the page like a firecracker. Sure, Archie Andrews has red hair too, but it's not the same as this. It's like these locks were forged in the fires of Hell. Again, it plays with the whole motif. It even stands out when the twins are completely in shadow. Blossoms 666 is a slow burn in the same vein as The Exorcist. It has a constant feeling of dread through every page. While the scares are light in this debut issue, it is one of the most riveting openers in recent memory. 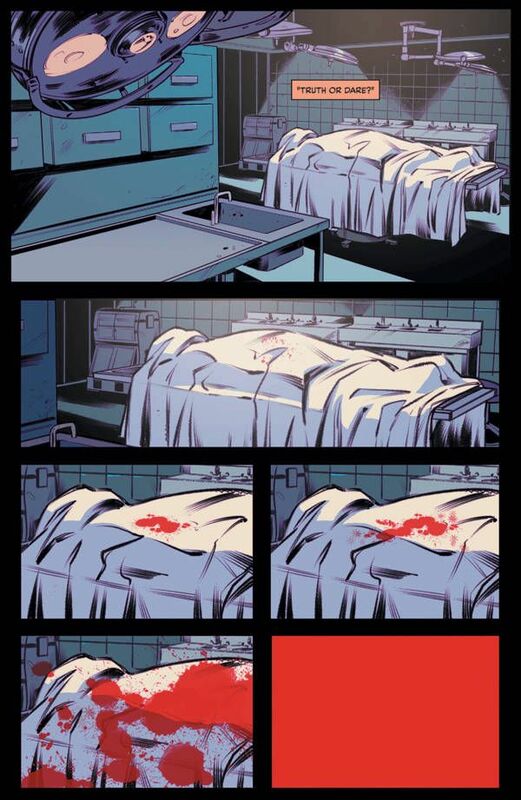 Writer Cullen Bunn pulls us into this creepy version of Riverdale and I am transfixed by what might come next. 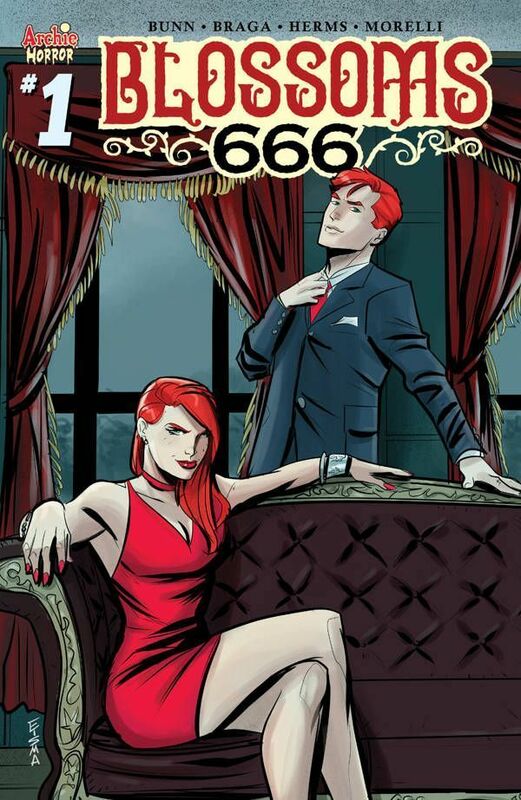 Archie Comics has been on a roll with its horror line and Blossoms 666 is sure to be another hit.